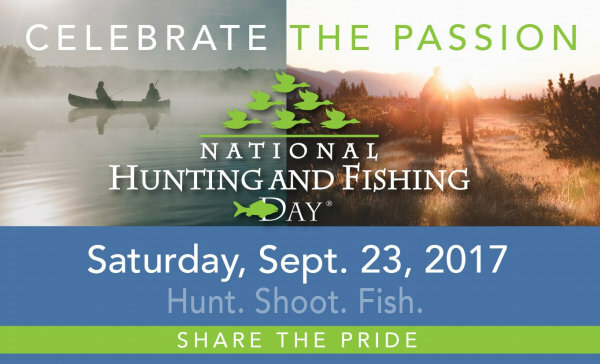 National Hunting and Fishing Day (NHF Day) takes place on Saturday, September 23, 2017. The annual celebration serves as a reminder that conservation succeeds because of leadership and funding from hunters, shooters and anglers. National, regional, state and local organizations will run thousands of “open house” hunting- and fishing-related events around the country. Events will include Fishing Derbys, Hunting Expos, Wing-shooting tournaments, and much more. Over four million Americans will participate. Take the Pledge to take someone hunting or fishing on or before September 23, and you can enter a sweepstakes with valuable prizes. ENTER Contest HERE. The contributions of hunters, in the form of excise taxes paid on firearms, ammunition, and archery equipment, benefit every state. These taxes have generated approximately $5.6 billion for wildlife conservation since 1939. 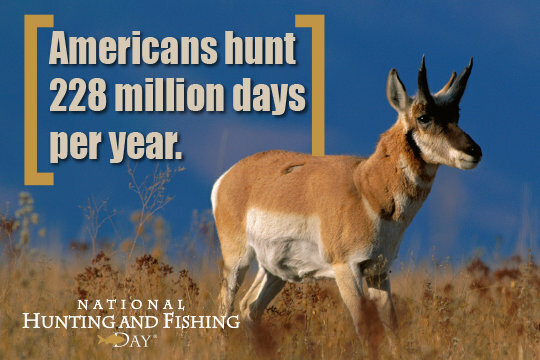 Share the post "National Hunting & Fishing Day is September 23, 2017"